Brexit and the US election have left more than a few people reeling – and just as many talking about a new world order. Could China rescue globalization? In May of this year, the city of Beijing came to a standstill. Major restrictions were imposed on traffic and factories ground to a halt. The reason? Beijing's need to ensure picture-perfect blue skies for a major international summit. The effort paid off. When nearly 30 global leaders smiled for a group photo, Beijing's usual smoggy backdrop was not in the frame. Chinese president Xi Jinping is pulling out all the stops to woo world leaders – and cleaning up the sky is a small part of his meticulous plans. His latest charm offensive – the One Belt, One Road (OBOR) initiative, a huge, global infrastructure investment program – is gaining fans, as the turnout at the OBOR summit at Yanqi, in Beijing's outskirts, proves. If successful, OBOR, also known as the New Silk Road initiative, could dwarf the Marshall Plan and catapult China to the forefront of global affairs. So far, Xi's efforts seem to be working and world leaders appear to be letting their guard down. Take Russian president Vladmir Putin, who displayed his talent for music – playing the piano while he waited for Xi to arrive. Putin might be the one playing the music, but he is probably dancing to Xi's tune. 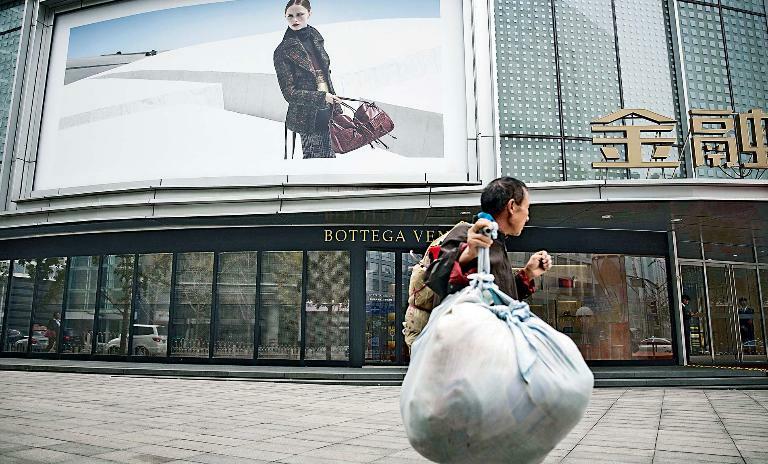 A weighty issue: Policy reforms and globalization efforts are creating a new class of Chinese consumers. Stiff competition: Companies like Chinese upstart OnePlus are crushing the profits of established manufacturers. "We are neither financially nor psychologically prepared for such a role." The geopolitical tectonic plates are shifting. The US government might threaten to build walls, cancel trade agreements and question the merits of globalization and global climate deals, but Xi is suddenly seeing himself referred to as the "new global grownup" (as "The Economist" put it). He earned this title after another Alice-in-Wonderland moment for foreign policy analysts: In January, in the mountain resort of Davos, Xi staunchly defended globalization and free trade. Like it or not, he said, the global economy was like "a big ocean in which we all have to swim." With his resounding "no to protectionism" and reconfirmation of the Paris Agreement, he sounded like a welcome antidote to Trump's nationalistic shout-outs. Add Brexit and the populist political movements in Europe to the mix, and it seems as if globalization is in danger of collapsing. "People are looking for signposts in a complex and uncertain world," Klaus Schwab, founder of the World Economic Forum, told "The Guardian". And some people, he clearly hinted, think they have found those signposts in Beijing. All of a sudden it seems as if China, of all countries, has to rescue an economic order that has, for over 70 years, been led by the US and its western allies. Xi pledged $78 billion in financing to build roads, railroads, bridges, power plants and harbors in countries in Asia and Europe. He encouraged banks to contribute $44 billion in overseas capital to support what he calls the "project of the century" – a new version of the ancient Silk Road linking Europe and the Far East. In December Deng Xiaoping announces economic reforms that open up the country to foreign investment, beginning in four special economic zones. In November the Shanghai Stock Exchange is re-established and begins operations in December after a 41-year hiatus. China joins the World Trade Organization. As part of the agreement, restrictions on foreign investment are further lifted across several sectors. China becomes the world's fourth-largest economy, behind the United States, Japan and Germany. It beat the UK by an output of just $94 million. Beijing plays host to the Summer Olympic Games. The success of the event helps secure China's position on the world stage. Xi Jinping defends globalization in a World Economic Forum speech, underlining China's commitment to being part of the global economy. With such global ambitions, a question has resurfaced, one first discussed after the global financial crisis in 2007: Will China be able to replace the US as a global power? Ask professor Jin Canrong and he cracks up laughing. "No," says the director of the School of International Studies at the renowned Renmin University in Beijing. Jin's response carries weight: After all, he has the ear of China's communist leaders. He cites the economic size of both countries. The GDP of the US stands at $18.6 billion, China's $11.4 billion. He argues that China has yet to gather any experience in the field of global governance. "We are neither financially nor psychologically prepared for such a role." Even so, his "no" sounds rather more like a "not yet," and the Chinese seem to be aware that the US has gifted their president the perfect opportunity to raise the country's profile. "China cannot become the new master of global trade before it puts its own house in order." "China has become one of the fastest growing national economies and biggest trading nations on Earth. It belongs to the most important beneficiaries of globalization," says Wang Huiyao, director of the Center for China and Globalization (CCG) in Beijing. The think tank, which counts former Chinese trade officials and diplomats among its consultants, organizes discussion forums about China's global role. "Globalization has become a leading theme in China's political discourse," says Wang. Not so long ago China's politicians would only speak about their own country on trips abroad. That's all changed. "Today our leading politicians have accepted the concept of globalization, and that is a very big change for China," says Wang. In other words: China hasn't just joined the club and profited from it, it is now ready to become one of its cheerleaders. It is ironic, perhaps, that China has discovered its love of globalization when the rest of the world seems ready to abandon it. China may not be willing or ready to take on the US on political or military terms, but it does want to reshape the world order according to its own interests – and OBOR is China's way to announce a new-found self-confidence. Beijing wants to be taken seriously, and it has started to restructure the world financial order that originated in Bretton Woods after the Second World War. "Globalization 1.0, or the UN, the World Bank, the International Monetary Fund, all of that was of good service for a while," says CCG director Wang Huiyao. "But now we need new players, new input." There is little doubt who he has in mind. 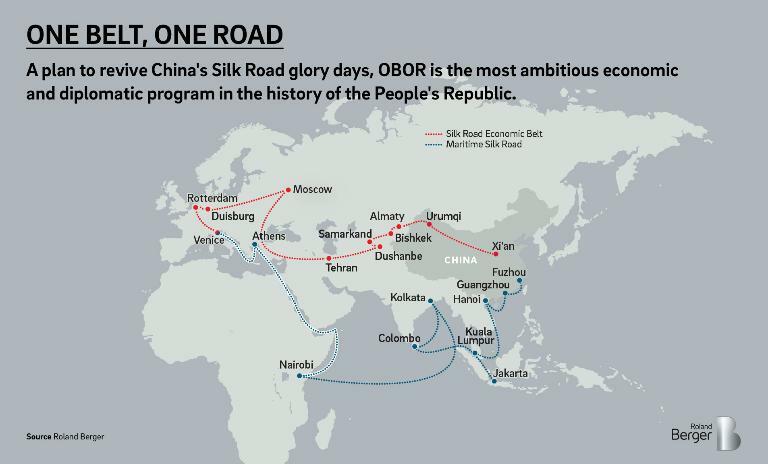 65% of the world's population will be connected by OBOR's roads and maritime routes. The most important step in that direction so far has been the creation of the Asian Investment Infrastructure Bank (AIIB), set up in Beijing in 2016 – China's answer to the World Bank. After begging political leaders for many years to give China more clout in international institutions, and being brushed off consistently, Beijing has now started to create parallel institutions – ones that critics fear it aims to dominate itself. China's president denies it, but when he uses the word globalization, he still means this new "Globalization 2.0," a new global world order shaped much more by Chinese interests. Yet, many observers warn about confusing China's ambitions with its abilities. "Giving a speech is not enough to dominate the global trade system," says Michael Pettis, professor of finance at Peking University's prestigious Guanghua School of Management and author of the book "The Great Rebalancing: Trade, Conflict, and the Perilous Road Ahead for the World Economy". China cannot become the new master of global trade before it puts its own house in order, argues Pettis. "China would have to be in the position of showing very, very large trade deficits so that the world can run reciprocal surpluses – as the US is currently doing," says Pettis. Already, there are warnings that with multi-billion dollar investments in railroads, nuclear power plants and port projects from Sri Lanka all the way to Greece, Beijing is overstretching its reach. The double-digit growth that China enjoyed for a long time has recently slowed to 6.5%. The years of China's economic miracle are over. And even the current growth is financed to an alarming extent by credit. China now needs globalization more than globalization needs China. Its national debt has reached two and a half times the country's GDP. "Debt is increasing faster than China's ability to pays those debts back," warns Pettis. It would already take more than $2 trillion to clean up China's debt problem. In order to return to sustainable growth, China's economic planners would have to begin serious economic reforms to increase household income and stimulate domestic consumption. But those reforms are nowhere in sight. China's ambitions to lead the world are currently being foiled by… China. The US and European business community in China has grown increasingly skeptical regarding pledges of globalization and free trade. "The mood among US businesspeople here at the moment is not very positive when it comes to China. 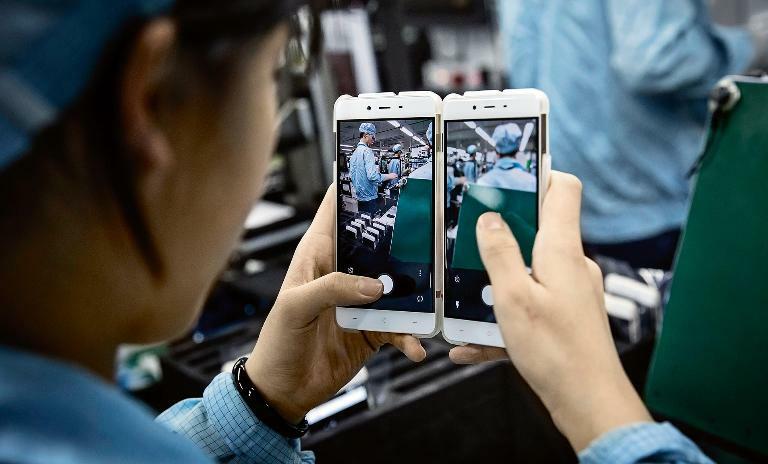 That has really changed," says James McGregor, a former "Wall Street Journal" correspondent and author of the best-selling book "One Billion Customers: Lessons from the Front Lines of Doing Business in China". McGregor, who now works as chairman of the public relations firm APCO in Beijing, is, like other foreign businessmen, eyeing the Made in China 2025 plan with suspicion. They fear China has started to buy high tech companies abroad, while investments by US and European companies in China remain restricted. The word "reciprocity" has found its way into official publications at the European Chamber of Commerce in Beijing. "China now invests four times as much in Europe than Europe in China," says Jorg Wuttke, who served as president of the European Union Chamber of Commerce in Beijing until May 2017. Beijing has armed its large state-run enterprises with cheap loans and instructed them to invest in Europe on a large scale in strategically important sectors like IT, including cloud computing and semiconductors, or robot technology. European companies, on the other hand, are still forbidden from investing in many sectors, with insurance and banking services the most glaring examples. China is allowed to buy harbors in Greece, airports in France and robot companies in Germany, while similar deals in the other direction are still unthinkable. 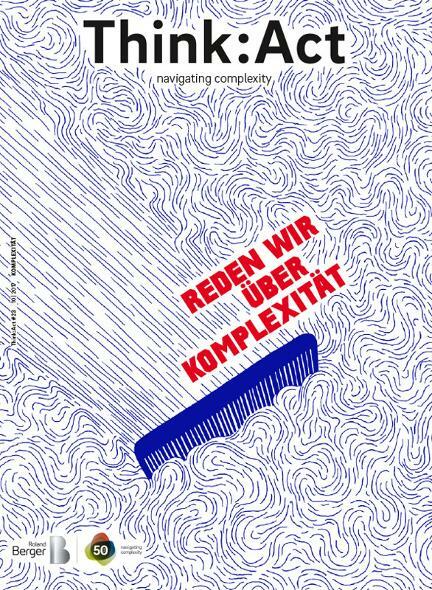 In Europe, says Wuttke, people are asking: "And… where are we?"